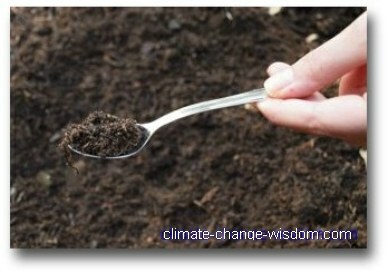 Soil and climate change are linked. Soil contains four times more carbon than the atmosphere, some 2,300 Gt, the bulk put there by biological processes. It is both a sink and a source of carbon, and in the absence of human activity, annual exchanges with the atmosphere would be roughly at equilibrium. Where it forms a food source used by bacteria, fungi and a host of soil animals that themselves create complex food webs, each organism using up some carbon in its own metabolism and releasing it as CO2 back to the atmosphere. This essential process we call decomposition. Without decomposition the plants would soon choke in a rising tide of leaf litter, yet the importance of soil in the global carbon cycle is often ignored. Get soil management wrong and carbon is released to the atmosphere. As much as 136 Gt in the 140 years prior to 1998 came from land clearing, compared to 270 Gt from fossil fuel use. 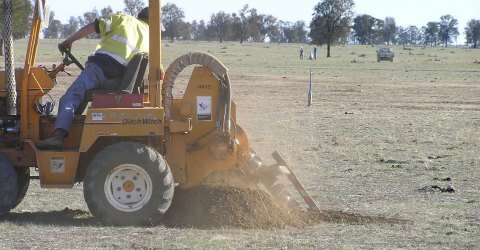 Land clearing still accounts for roughly 13% of annual global greenhouse gas emissions. But get soil management right and it will sequester and store carbon for as long as vegetation cover is retained. Soil and climate change may seem far apart but what we do with soil over the next 50 years will either help or hinder any climate mitigation effort. All far more efficiently and consistently that soil depleted in carbon. This is one of the main reasons why organic farming works without the need for inorganic fertilizers. Soil managed to retain carbon close to its capacity will be productive and adaptive when climate changes. 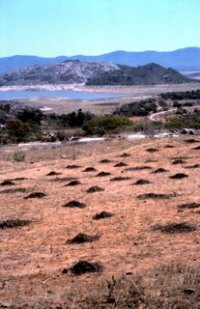 The sequestration potential of degraded soils is a cost-effective way to generate carbon offsets (net carbon sinks) and the potential volume is significant. It would make sense to put soil carbon management at the top of the list of climate change adaptation options. Soil and climate change needs our attention.